The entire business aircraft purchase or sale process can seem extremely complicated. And, indeed, it is, to both the infrequent and the first time buyer or seller. One of the most complex elements is evaluating the many and varied new or used jets for sale. This component is particularly fraught with the potential for missteps. Opportunities abound to leave too much of your money on the negotiating table or which cost you far more than they should. However, no matter what your business aviation needs, requirements or desires may be, they can completely and cost-effectively be fulfilled in a timely manner by partnering with the team of professionals at Holstein Aviation. They can help you quickly find the right new or used plane for sale at the right price. Your needs need not be your concerns. 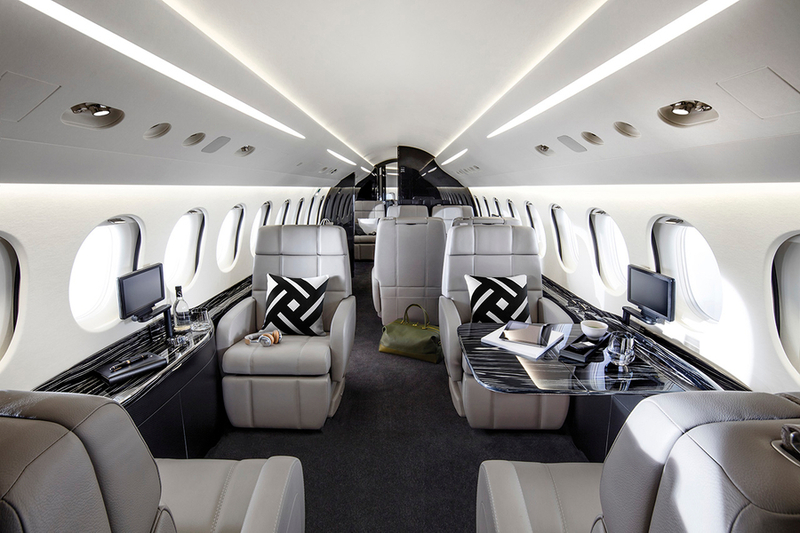 Whether you are seeking a selection of appropriate and qualified private jets for sale from which to choose, or if you have a jet for sale that you want sold sooner rather than later at the best possible price, rely on Holstein Aviation. This tenured, knowledgeable, well-known, and highly-regarded group of experienced and astute industry leaders is noted for first fulfilling and then exceeding your overall expectations. So whether you want to buy or sell a plane, you can rely on these professionals. Today's business jet and turboprop marketplace is changing, challenging and confusing for even the most experienced aircraft owners and operators, let alone a first time business aircraft user. With more than 100 different models of used airplanes from which to choose - each with its own specific features and benefits, operating procedures and maintenance considerations - making the right decision when considering the purchase of a private jet for sale can pose a true conundrum. This is a key reason why buyers and sellers alike are well advised to consider using an independent, capable aircraft broker and acquisition specialist to facilitate and execute their transactions. Independent and impartial aircraft brokers, exemplified by Holstein Aviation, truly and fully understand the cultural realities and subtleties of both the new and used planes for sale marketplace. That ensures our clients obtain the best results. All the time. Every time. Sell your business aircraft or your entire fleet. A structured, rigorous and detailed procedure is employed to ensure the most rapid transaction of your turboprop or jet for sale at the best possible price. This proven approach, which has generated hundreds of thousands of dollars in additional revenue for our clients over the years, is unfailingly utilized on your behalf and to your benefit. Acquire a business jet or turboprop. Just as in brokering an aviation asset, a similar robust, precise process is utilized to ensure a rapid purchase or lease of the most suitable aircraft at the lowest feasible acquisition cost for you. This proven program, which has saved our clients thousands of dollars on individual transactions, is unfailingly employed to maximize the return on your expenditure. Lease an aircraft or lease out your business aircraft. As in all of our other service areas, a focused and comprehensive approach facilitates a rapid and complete lease development and execution strategy. The result yields an effective and beneficial lease for the appropriate jet or turboprop to meet your needs and requirements. Time and time again, this systematic focus has generated substantial savings or significantly increased revenue for our clients. There are multiple methods to expand the short term capacity of your current aircraft or fleet. There are also an equal number of ways to come up short, commit to an overly expensive plan, or expose your passengers to unacceptable levels of risk. Minimize the potential for overly onerous commitments or excessive costs by partnering with the team of professionals at Holstein Aviation. Let your interests be well served through an objective analysis and subsequent development of the choices that are the most prudent for you. Consultation on any and every aspect of business aviation. No two companies or individuals are alike; nor are their aviation requirements, operating environments or financial parameters identical. You may be new to business aviation or a seasoned aviator or maintenance professional successfully managing a large flight department. Perhaps you fall somewhere in between. Regardless, everyone has one thing in common - the need to capture expertise in a specific area that may be unfamiliar to you; or, where you have only been through a particular process on occasion. In either case, your needs will be met, and exceeded, by the team of knowledgeable professionals at Holstein Aviation. Recruitment and outplacement of aviation personnel. Borne of broad and in-depth flight department and executive level management experience, the Holstein Aviation vetting procedures also incorporate Search Process Best Practices throughout. Now you select from precisely defined, uniquely identified, and highly qualified candidates. Only in this way can you make the high value, low risk hire that is crucial to your continued success and safety. If or when circumstances change, prudence and compassion dictate supporting formerly valued employees to achieve rapid and efficient transitions to their next productive role. Professional guidance from the Holstein Aviation team helps make that happen - fast.